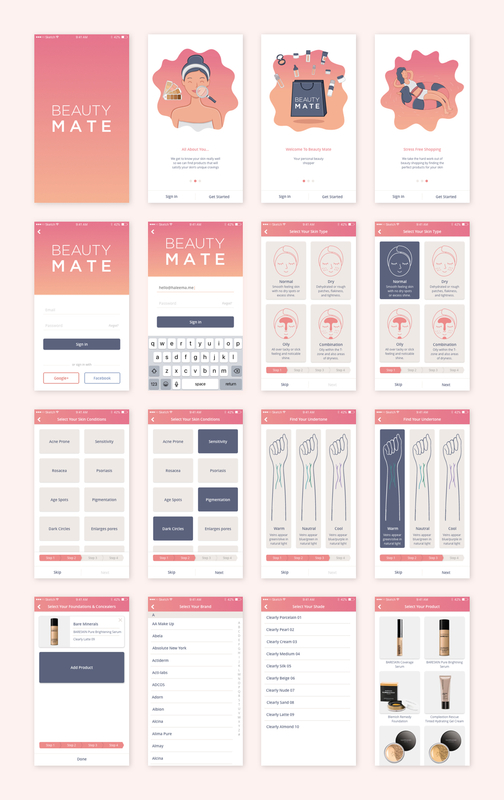 On-boarding for BeautyMate – An e-commerce beauty app. 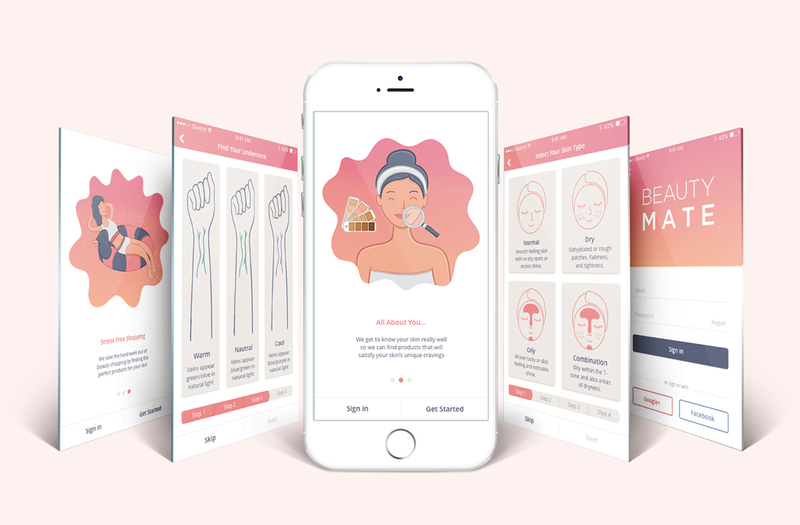 This app allows users to view recommended beauty products which are suited to the users skin type/tone. 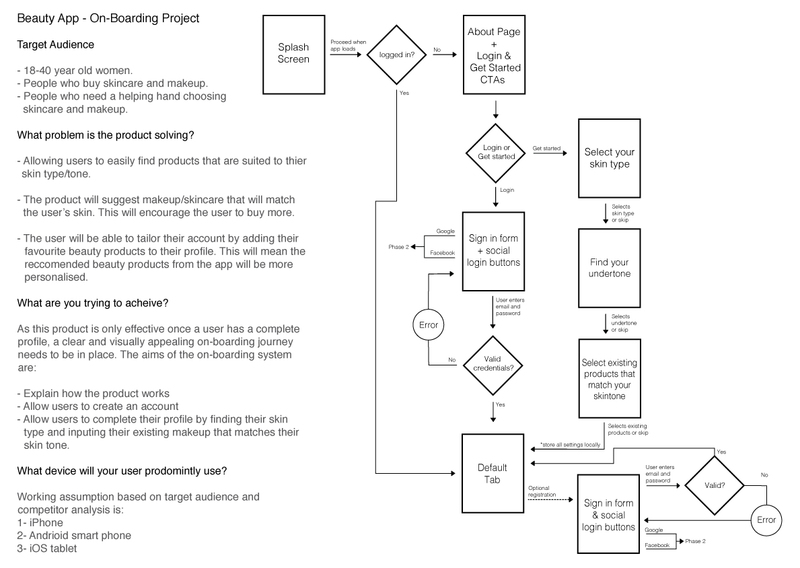 My brief was to design the on-boarding journey for BeautyMate. This process needed to include information about the app, a way to collect information about the user’s skin type/tone and sign in for existing users. In order to deliver personalised product recommendations, the customer needs to provide information about their skin. This can be a challenge as the customer would need to invest time and effort to answer these questions. There may be an anxiety about the accuracy and usefulness of these recommendations, leading a customer to wonder whether the time and effort to complete the on-boarding will be worth it. How do we get customers to complete the full on-boarding process with these challenges in mind? Having an optional registration after on-boarding. 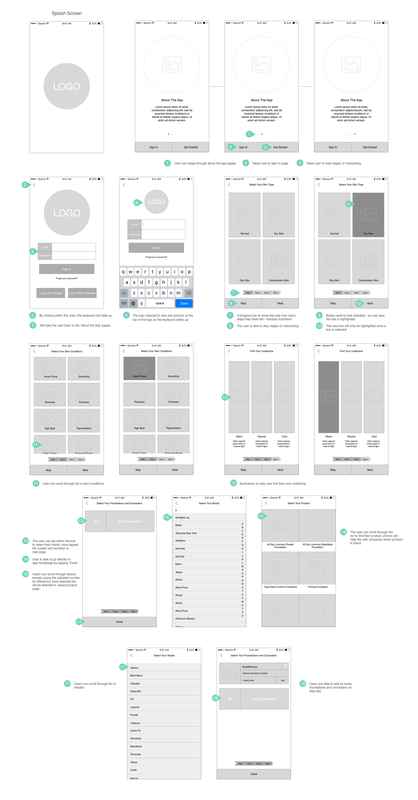 This shortens the on-boarding process and allows customers to experience the product before they have to register. Intro screens which clearly explain the value proposition, this should reduce anxiety regarding the usefulness of the product. Using illustrations to visually guide customers to answer specific questions about their skin type. Clearly labeled multiple choice questions, reducing the effort involved to answer a question compared to free-form text fields.